Clubroot galls have been found on canola plants in two separate fields in Manitoba. There is quite likely more clubroot across the province. Alberta experienced an increase in clubroot intensity and geographic spread this year. Saskatchewan’s disease survey report will not be available for a few weeks. In general, it was a good year for clubroot — if you’re clubroot. It wasn’t great for canola growers. But don’t panic. We have fall management tips in this issue. Soil sampling is one way to check fields for clubroot DNA. Fall soil testing is also timely to check soil nutrient reserves, which may be low this year with higher than average yields expected. 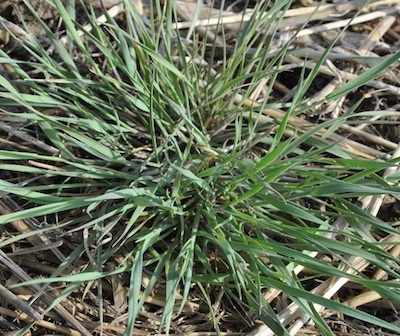 Once harvest is complete, assess the perennial and winter annual weed situation. Give problem patches of foxtail barley, cleavers, dandelions and quackgrass a shot this fall. 1. Cleavers. Cleavers used to be pretty much an annual weed, but with more direct seeding it’s becoming more of a winter annual. 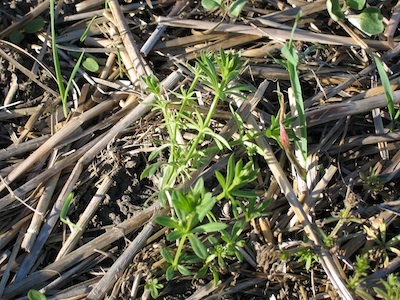 The rise in winter annual cleavers may be a case of producers not applying high enough rates in the spring to manage them. Grading tolerances are fairly low for cleavers, and the weed seems to be getting worse in some fields. The weed deserves special attention. Cleavers is a grading factor under conspicuous admixture and the limit is 1% for No. 1. That compares to a 5% limit for “inconspicuous admixture” from mustards, for example. Ideal timing for a fall herbicide application should depend on the weeds present in the field. 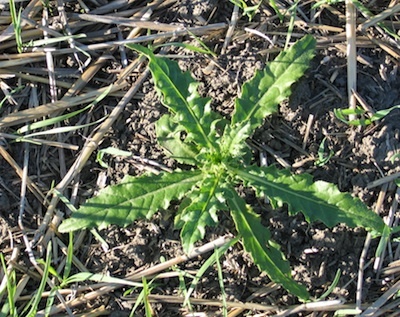 Perennials, like Canada thistle (shown), are best controlled in September, especially when using glyphosate. October is the best time to control winter annuals such as narrow-leaved hawk’s beard, stork’s bill, sow thistle and cleavers. 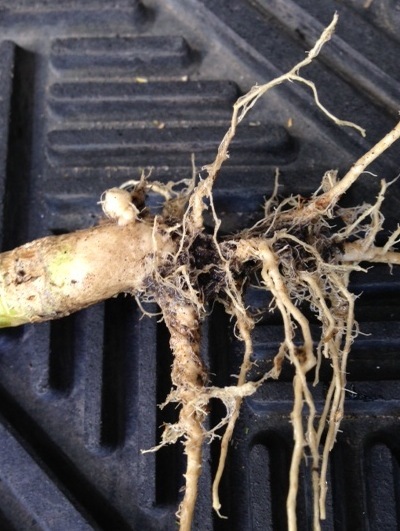 Manitoba has had two canola fields confirmed this month to have clubroot symptoms on plants. Last year, clubroot was confirmed in two soil samples in the province, but plant symptoms were not observed. Clubroot is expected to spread across the Prairies eventually. The disease was first detected in Manitoba in vegetable crops in 1925. It is not a surprise to find it in canola fields. The key is to become more aware of the disease, what it looks like, how to scout for it, and how to prevent its spread. With early detection, use of resistant varieties and equipment sanitation practices to keep it from moving around, growers can manage the disease. Early detection makes clubroot easier to contain. By the time patches of clubroot infection are obvious in fields, clubroot spores may have been present for a while and may have already spread to neighbouring fields. Clubroot disease management plans will vary depending on the amount of disease and its severity, but growers in all regions should watch for the disease. Read more for prevention and management tips for infested and non-infested land. Canola seed can absorb more moisture if left in the field during a rain. Both 6% and 8% moisture canola can be safely stored when cool, however increasing moisture from 6% to 8% would add the weight of a bushel/acre to a 50-bushel crop. 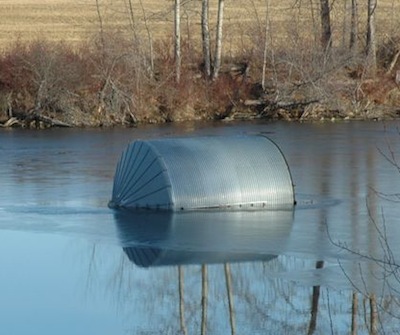 Growers may not choose to leave a crop out in the rain, but this situation may influence which crop you combine first. With a bumper harvest predicted for many areas, bin space will be at a premium. Not all canola will be able to go on aeration right away. 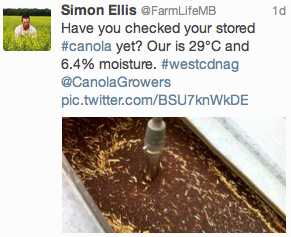 And not all canola will be going into bins originally planned for canola. This has its risks. 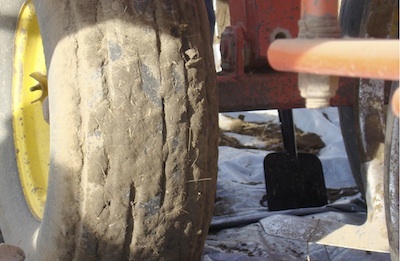 Soil sampling: Why this fall? With reports of high yielding crops across the Prairies, fall soil tests are a good way to see how much nutrient reserves are left. It might not be much. Or, if yields were variable, some areas may have more than you think.